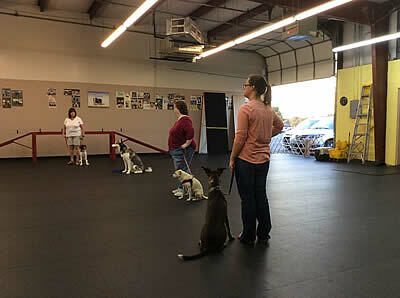 For those wishing to further educate themselves and their dogs, we offer the advanced class. We will work on having a relaxed control over your while being off leash. You both will learn how to leave the dog on a stay while you are out of sight, stand on command, hand signals, jumping obstacles, and fun tricks are taught at this level. 1. Perfect all previously learned commands. 3. Teach your dog commands from a distance. Must have attended puppy/basic classes or get approval.